Welcome to Friendship Friday at Create With Joy – a week long blog party where we invite you to introduce yourselves, share your thoughts about life, and spotlight your blogs! Have You Heard About Talkspace? Have you ever been in a situation where you’ve felt alone, anxious, and depressed… over your head and in need of professional counsel… but unsure of where to turn for help? At some point in our lives, we all find ourselves in a place where we could benefit from the services of a licensed therapist – someone to help shed light and professionally guide us through whatever circumstance we’re facing. That’s where Talkspace comes in. Talkspace is an online therapy app that brings a therapist to you whenever you need one, wherever you are. For as little as $49 a week, you can find the perfect therapist and plan for you (costs vary according to plan). Some plans are text-based only. Others combine texts and online video chats. Talkspace also provides specialized counseling services to couples, businesses, veterans, the LGBT community, and those dealing with social media dependency issues as well! Talkspace therapists focus on providing people with cognitive, behavioral-based interventions that focus on getting them to change the way they think and behave – not just understand why they feel the way that they feel. If you are wondering if Talkspace might be right for you, I encourage you to thoroughly explore their website and read some of the online articles written by people who have used the service. While this service might not be right for everyone, I think Talkspace provides an exciting option for those who need help and might not be able to get it otherwise! What do you think about Online Therapy? Would you ever consider trying a service like Talkspace? What do you see as its potential benefits and drawbacks? Welcome to the Friendship Friday Blog Party #336! Link your favorite posts, projects, giveaways and blog parties at Friendship Friday. You may share as many features as you like! 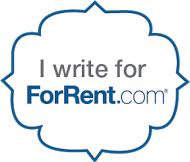 We encourage you (if possible) to include the Friendship Friday button on your blog and a link back to our site so that your readers can find us and join the fun! Be sure to leave a comment and let us know what you’re up to this week! Thanks Marilyn – hope you have a fabulous weekend too! Hi there, I’ll stop back later to link up. Please also linkup on #omhgff…. Hope you have a great weekend, Joy! Thanks Yvonne – you too! For some reason the party isn’t loading. I’ll try again later. 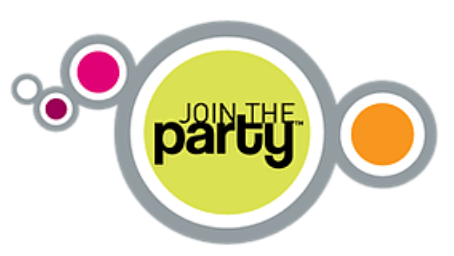 Click on the Join The Party button – have moved the links to a separate page for faster page loading! Talkspace sounds like a wonderful thing. Very nice. Thanks for hosting and I hope that you have a wonderful week. Thanks Patrick – hope you are having a wonderful weekend!